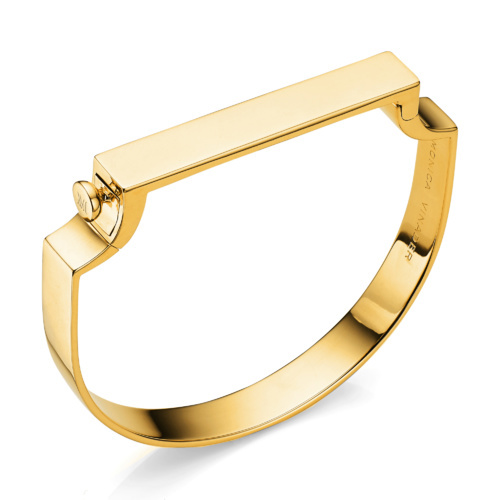 The new Signature bangle from Monica Vinader blends directional design with effortless style. 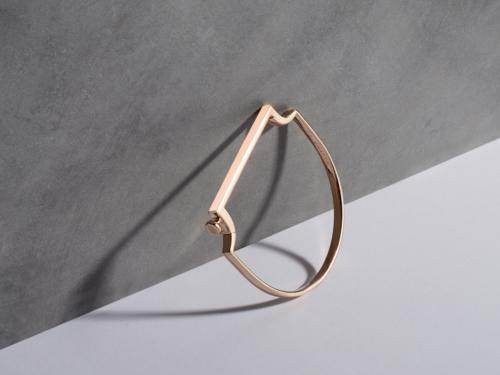 This handcrafted bangle mixes strong, clean lines with flowing curves making it both modern and feminine. This simple silhouette fits comfortably around the wrist. The hinged bar easily opens and closes with a snap fastener. Simply push the button in and lift the top bar to open the bangle. 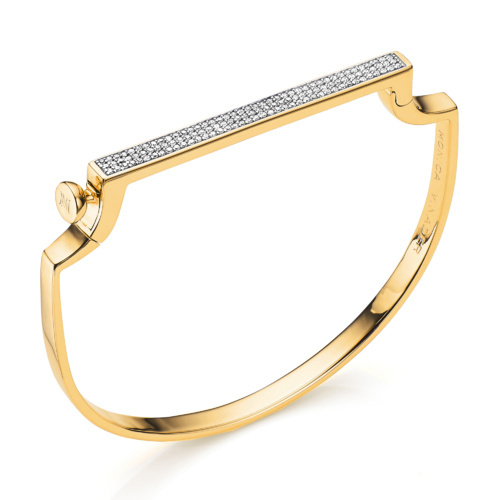 Slide the bangle onto the wrist. Press the top bar down to click into place. This modernist inspired bangle can be stacked styled in three widths in Sterling Silver, 18ct Yellow and Rose Gold Vermeil. Additionally two widths are available with a pavé set diamond bar. 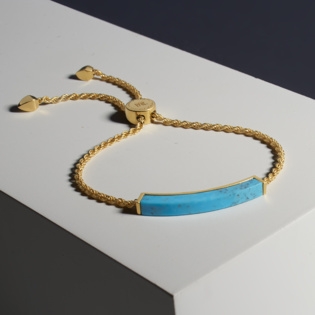 Personalise your Signature bangle with messages, motifs & hand-drawn doodles on the top and bottom of the bar using our complimentary, same day engraving service. 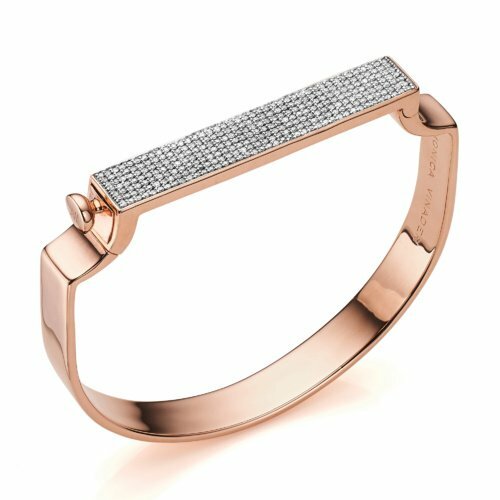 The Signature bangle is available in-store and online from 5th May 2016 in standard and petite sizes. 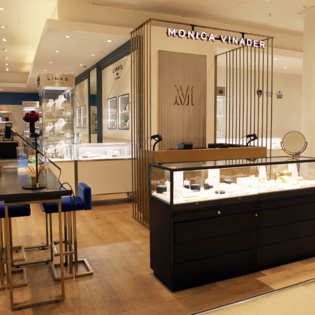 Prices range from: £180 to £1,145.